When you are trying to improve your health, changing eating habits is a huge part of it. It’s especially hard when you’re tasked with cooking for that family. These delicious, easy and healthy recipes for busy parents are sure to keep you satisfied all while eating healthier. Not only do these recipes pack the flavor you so desire, they are cooked with health in mind. High in flavor and quality taste, low in fat and calories – these are just the recipes you need to succeed in your health improvement quest. 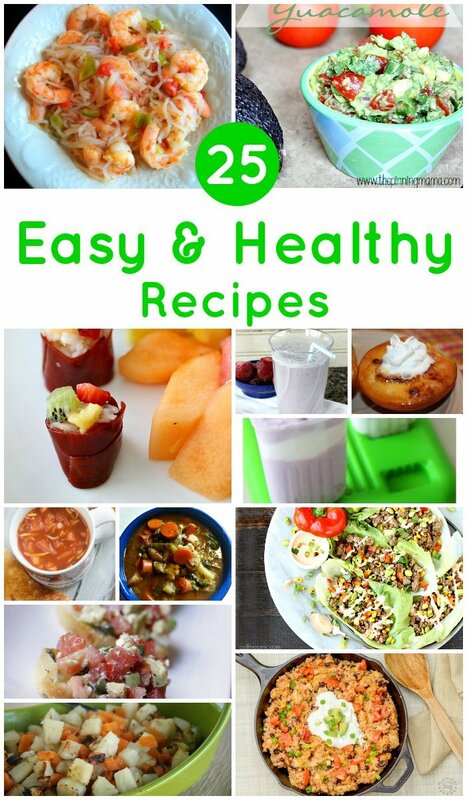 Enjoy your favorite flavors in these great super healthy recipes that include main dishes, sides, snacks and desserts. Three bonus recipes from our archive! Whether you are looking for a simple breakfast, hearty lunch or savory soup this great list has you covered. These foodies have created recipes that perfectly showcase our favorite fruits and vegetables to delight your taste buds. Using simple seasoning, grilling techniques and a few extra kicks of flavor with peppers and Greek yogurt you can make all of your favorite meals super healthy. We love how these recipes showcased flavor combinations that may not have traditionally been healthy. Grilling and roasting bring out a richness that makes even a basic cabbage steak burst with deliciousness.